Manny Pacquiao takes on Jeff Horn this Sunday in what should be an explosive battle. If you want to watch the fight extremely cheaply from anywhere in the world then we’ve got the details you need. The fight is mostly being shown on expensive pay-per-view networks or cable. In some countries the fight isn’t even being shown but there is a way you can watch on an official stream live from anywhere in the world for under US$10 (about £6). Best of all there are no dodgy or sketchy pirate links that will fill your computer, tablet or phone full of viruses and trojans or stop half way through. So if you want to know how to watch Pacquiao vs Horn live online from anywhere keep reading below. The entire Pacquiao vs Horn fight is being shown live online in Russia officially by the network MatchTV! To watch outside Russia you’ll need a really simple app or piece of software called a VPN which will allow you to watch anywhere in the world. Just follow the instructions below. Visit VPN provider ExpressVPN by clicking here. Select a package length (you only need 1 month for the fight). Enter your details and complete the checkout process. Click VPN Apps on the website and download the correct software for your device. Install and run the software and login when required. In the search box type Russia (2.). Click the Power Button (4.) if connection is not made automatically. Click Install. Open the ExpressVPN app. It doesn’t take long at all for the ExpressVPN software or app to make connection. Once connected all you need to do is head over to the MatchTV! website which can be accessed by clicking here at the time of the fight. You’ll be able to watch all of the action live online anywhere in the world. Once the Pacquiao vs Horn fight has finished press the power button on the software or app to disconnect and your connection returns to normal. You can use the VPN account to watch other fights such as Robert Easter Jr vs. Denis Shafikov on June 30th, Berchelt vs. Miura on July 15th and Mayweather vs. McGregor on 26th August. Basically it’s telling you that you can’t watch because you’re outside Russia. A VPN is absolutely necessary to watch. When is Pacquiao vs Horn shown? Pacquiao vs Horn takes place on July 2nd from 11 am local time which is Brisbane, Australia. The local time in your country is as follows. Please consult WorldTimeBuddy to find out what time it is in your region. Where is Pacquiao vs Horn taking place? The Pacquiao vs Horn fight is taking place at the Suncorp Stadium in Brisbane, Australia. The fight is expected to take place at 04:30 am British time even though coverage starts from 2 am. Who will win is impossible to determine but let’s round up some facts to help you get a better idea of the likely outcome. Pacquiao is a legend in the boxing world and has been around some 22 years so he isn’t without experience. Horn, on the other hand, is a relative newcomer and little known in the major world of boxing, however his number two ranking at the IBF and WBO and a record of 16-0-1 with 11 knockouts should go some way to prove his credentials for a fight of this magnitude. Pacquiao who is current 38 is some ten years the senior of Horn who was originally a teacher who got into boxing to rid himself of his geeky image and learn self defence. 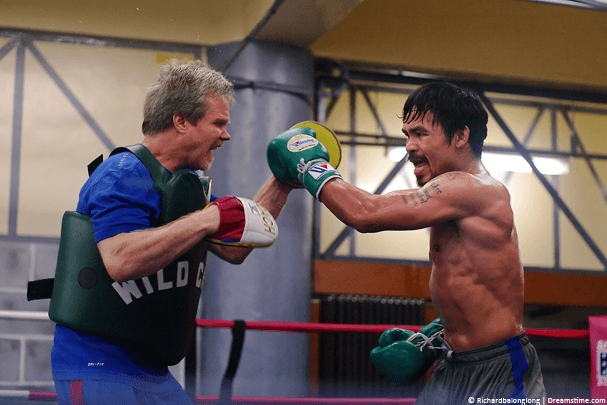 Being three inches taller that Pacquiao and heavier gives Horn the advantage but Pacquiao has time and time again proved he can take down the bigger guys. Regardless of who wins you now know how to watch the entire fight, just grab yourself a VPN and follow the instructions earlier in this article.